I can say I am enjoying soccer a tad more this year. K started and she is loving it. She loves the social part too of course, lots of cute little friends and a very nice coach. She loves the activity and especially the "snack." My Boy has moved up to playing goalie this year. Last year he'd tie his hands behind his back to NOT volunteer, he didn't like it. Now he's more confident and his skills have improved dramatically! "I was bored...no one was near me the whole time!" That's good remember! Our defense was doing it's job! "Oh yeah!" So we'll see how long his new position lasts. Yay soccer kids! Those little girls looked too cute. Way to go for your son having the courage to play goalie! What fun for both...my daughter may years ago played but she mostly chased her shadow! Snack time is always my favorite! Have a great week! Those are awesome photos! Both of mine are playing this year too and I am hoping to get some photos to share soon. Neither has their uniforms yet. And HOLY COW, that's a big goal! I remember playing soccer when I was in third grade. Goodness I LOVED IT! Cute shirts and high socks. How can you blame anyone for lovin it? Haha. 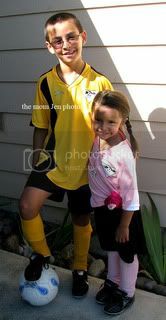 Being a soccer mom ROCKS! That pink uniform is way too cute! awww, they are precious! great pictures! 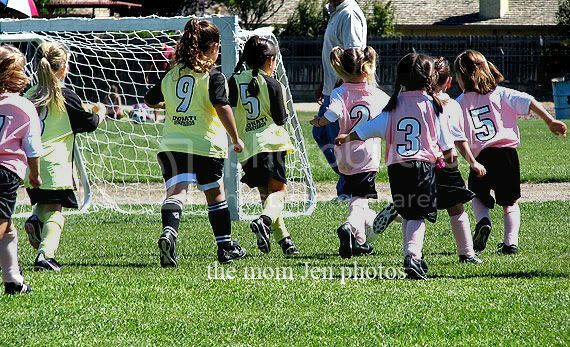 I can not wait until mine are old enough to start soccer ... I grew up playing it and it's my favorite for sure! Ah yes, snacks. That was always the big draw for Katie. I just can't seem to get Lily (9) interested in anything yet - seems a shame because loves to run, and loves to win! Your children are just so beautiful and look so happy. Oh yes soccer time! 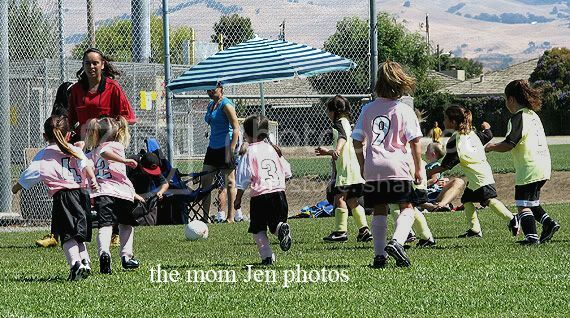 I am a soccer Mama too. Next year my son will be in Kindergarten so he will play too. My daughter's been playing K-2 and now is in 3rd grade doing it! Her father coaches her team every year. So it's "their thing" but I always am there on sidelines practice and games! Love these pics!!!! Looks like so much fun! 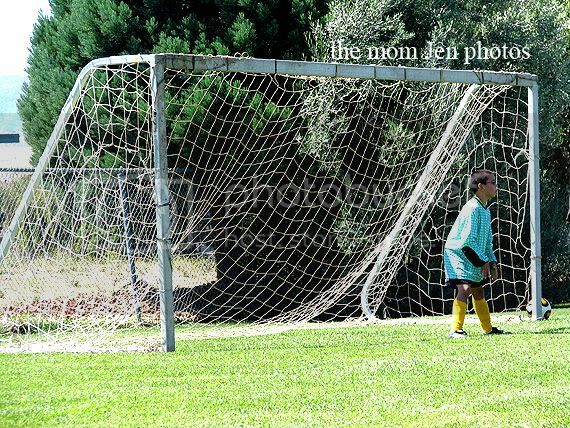 The joys of being a soccer mom! Little K looks so cute. I lucked out because both my girls practice at the same place, at the same time, on different fields. Makes scheduling much easier! 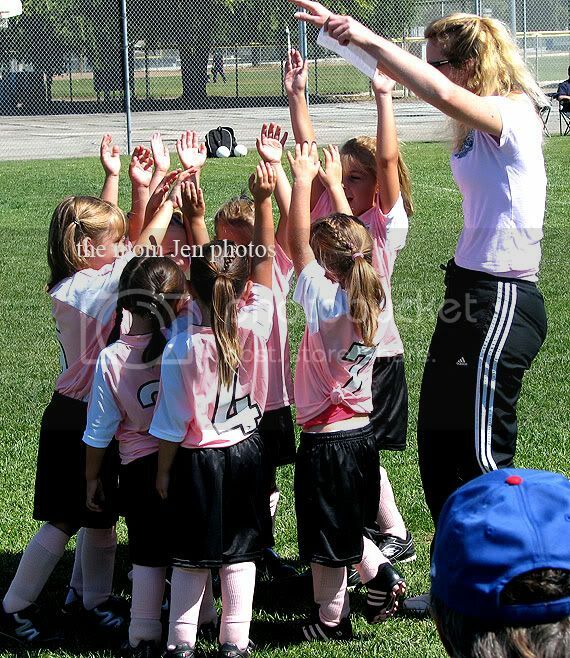 Oh yeah, and this is the first year in the past 3 my husband hasn't been the volunteer coach for FiFi's team. That also makes it much more enjoyable for me. Great pics. I hope they have a fun season! that looks so fun! 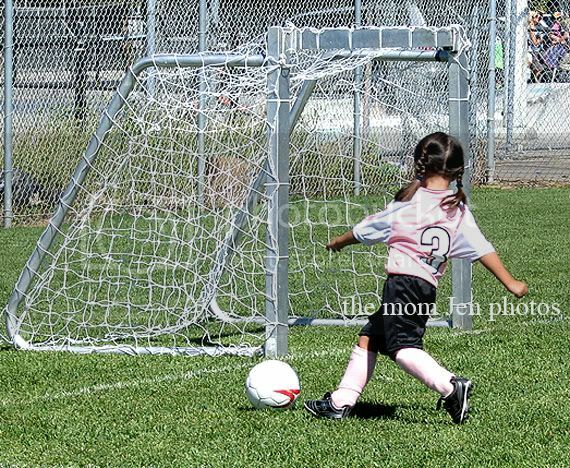 great pictures too:) I can't wait to get my kids in to soccer:) Happy Tuesday!